These days, you can buy almost anything from Japan your heart desires online, but there’s one kind of item that’s always been particularly hard to find: Gachapon! Because gachapon toys are generally only sold through machines that spit out a random capsule toy, living outside of Japan means you miss out of the surprise of putting a few hundred yen into a machine, turning the knob, and waiting with baited breath to see what comes out… But with Tokyo Gacha World, a subscription box dedicated to gachapon, you can experience the delight of receiving random gachapon every month! 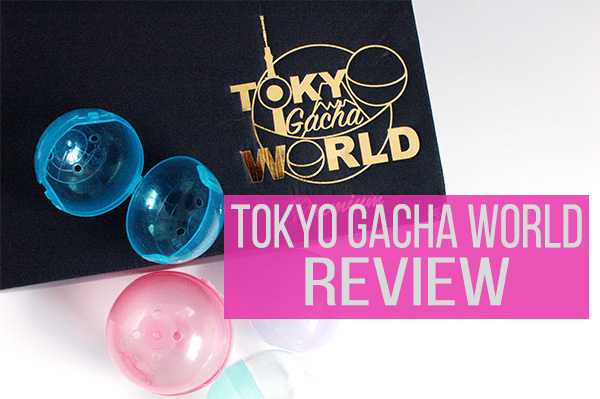 For this review, I was sent the premium Tokyo Gacha World box, which contains 6 gachapon for $32 per month with free shipping worldwide. If you’d rather get some Japanese candy with your monthly gachapon, there’s also a $27 per month option that comes with 3 gachapon and 3 to 5 Japanese snacks. I was especially excited to receive my box, which was the April 2017 edition of Tokyo Gacha World, because “anime” was the theme of the month! You can check the Tokyo Gacha World site every month to see the premium box theme, and decide when you want to purchase a box accordingly. Let’s see what was inside! The postcard included in the April box does remind you that Kirby did have an anime, but I’m pretty sure Tsum Tsum hasn’t been made into one yet! This could have easily been split into two separate boxes, an anime box and a video game box, as I’m sure there are more than enough strictly anime-themed gachapon to fill an anime premium box. I personally don’t mind because I also happen to really like Tsum Tsum, but I can imagine if someone ordered this month’s box specifically for the anime theme, they might be disappointed that there aren’t more current anime represented. I really like the Crystal Carillon because it’s Sailor Chibi Moon’s way of calling Pegasus to aid her in battle, and I was always a big Pegasus/Helios fan. 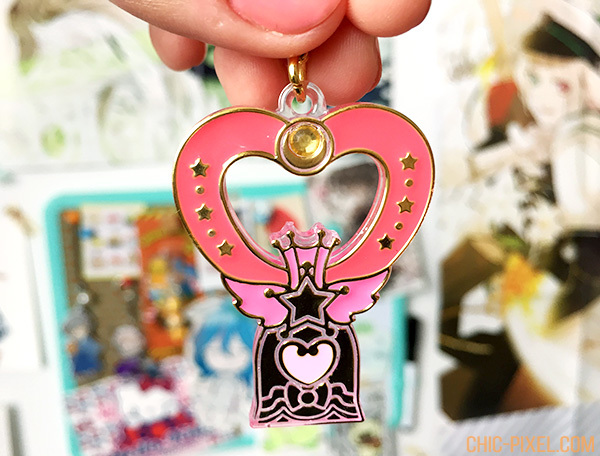 The quality of the charm is really nice, too! … Did you guess my other favorite gachapon? It’s gotta be this adorable cup Kirby! I was so thrilled to get my favorite design in the series! 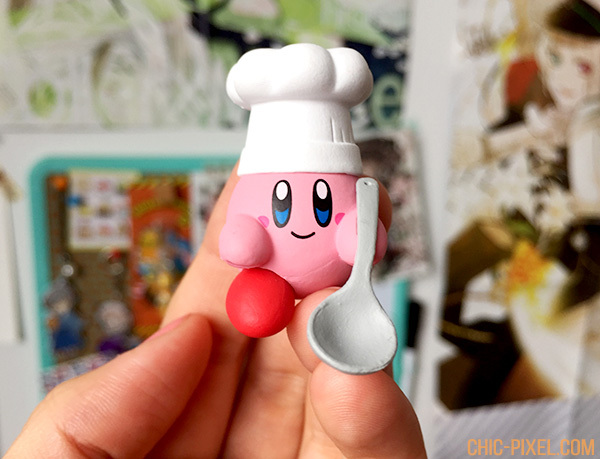 I love how chef Kirby can be posed dipping his spoon into your cup. 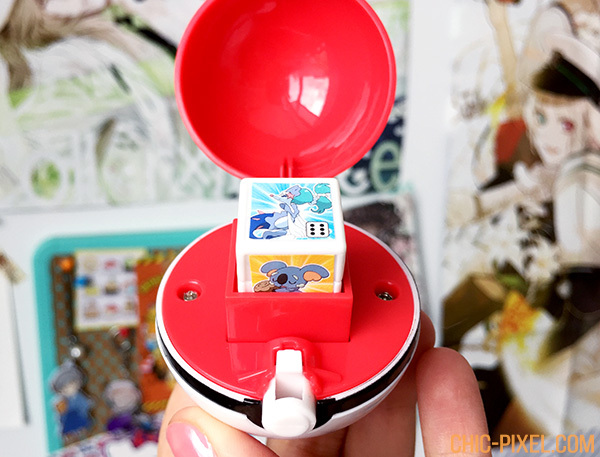 This Pokéball gachapon is really neat because it’s actually a mechanism to roll dice! It would be a lot of fun to use while playing a board game. How cute is this winking Rascal?! 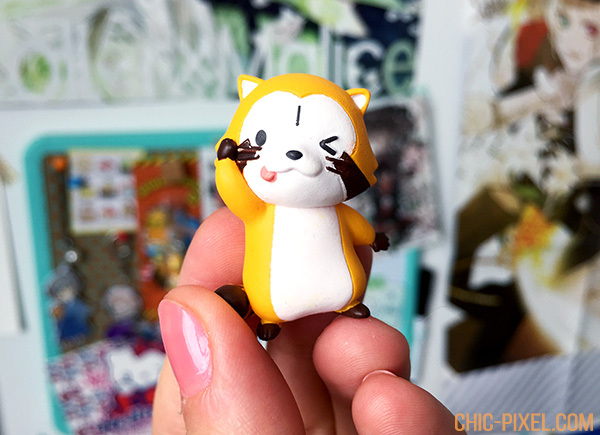 I’ve seen this adorable raccoon on merchandise before, but after getting this gachapon, I decided to do some research on the anime. If you’ve never seen the opening to Araiguma Rascal, check it out on Youtube! 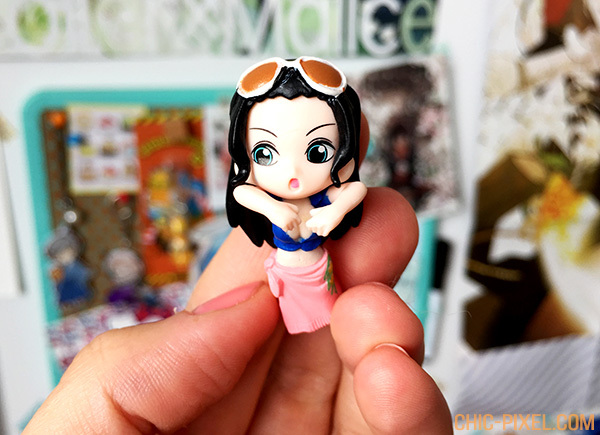 Unfortunately I don’t know much about One Piece, but I was surprised to find two different cup figurine gachapon in the April Tokyo Gacha World box! They must be really popular! 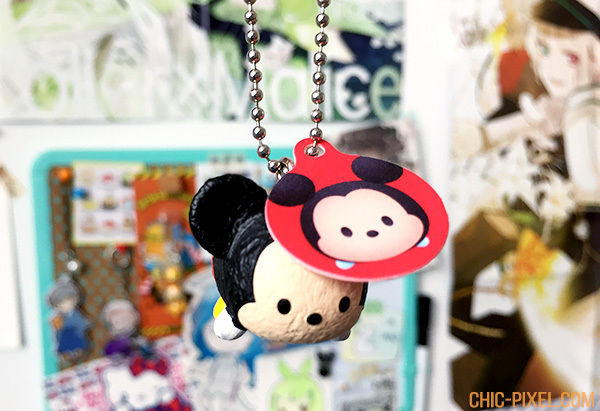 The final item in the anime box was this Tsum Tsum keychain! It’s nice that they included a keychain gachapon so you can hitch it to your bag, since a bunch of the other items are just for display purposes. Despite Tsum Tsum not being an anime, I really like the little bean Disney character designs, so I don’t really mind! I really love the idea of getting random gachapon in the mail each month! The premium box is a great deal with 6 gachapon for $32 per month, but I can see the bento box option, which includes 3 gachapon and 3-5 Japanese snacks, being a nice alternative if you don’t really feel like you need 6 gachapon and would rather get a couple of fun food items. If you love gachapon like I do, I highly recommend checking out Tokyo Gacha World! A free sample was provided to Chic Pixel for the purpose of this review.